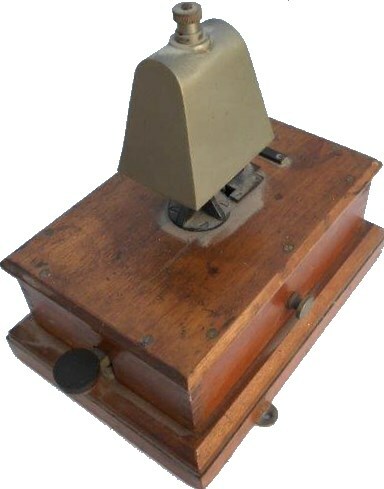 Lot 139 BR-W Mahogany Cased Block Bell with Cow Bell and tapper to front. Complete. Measures 9in x 7in, in excellent condition.